Print design for the New Saab 9–5 used car brochure. Art direction, photography selection & Photoshop production, typography layout and bespoke background illustration. Personally I love Saab Cars, and this one is a stunning looking machine. 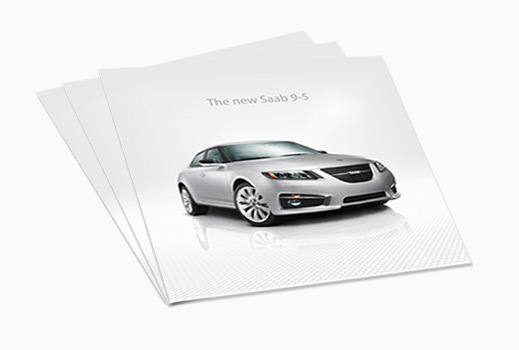 The Saab New 9–5 used car brochure was designed to be utilised by differing dealerships where the inside details would be printed on demand. Designed for personal relaxation my response to the Vormator challenge was selected to appear in this wonderful international publication. Great fun from start to finish, I imposed more restrictions upon my idea than the creative brief called for and decided to use the Vormator elements once only. "Vormator has been very successful on the internet and is widely discussed on design portals, blogs and design forums. Now the best results of Vormator are available for the first time in print." A chance to work at hi-res with stunning illustrations from the world's favourite children's entertainment company. 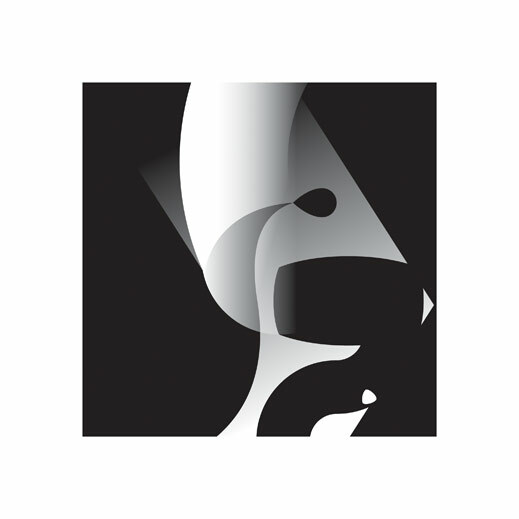 Designed and produced for various EMEA territories. 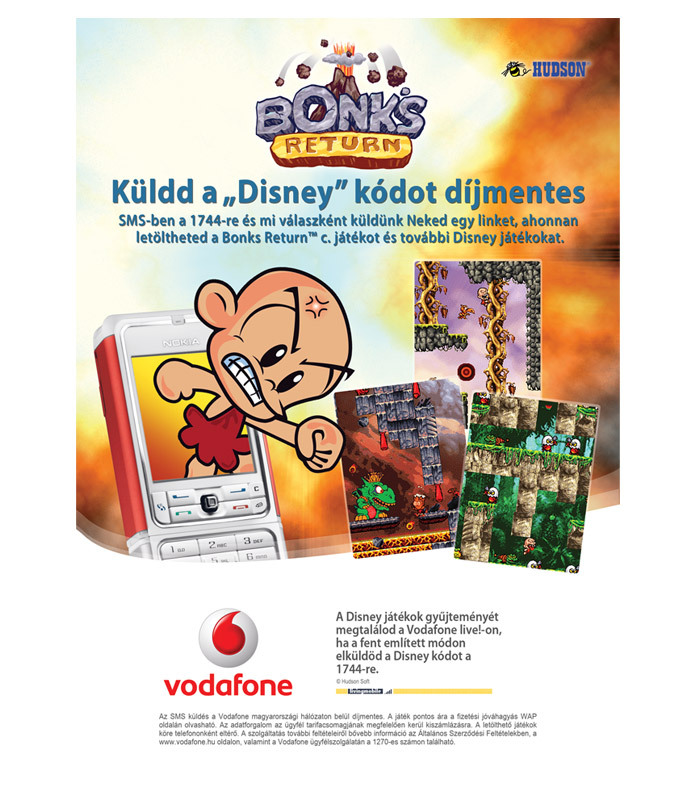 Bonk, a favourite with many old school gamers, reinvented for mobile and promoted via print inserts in mobile gaming magazines throughout EMEA territories. Great illustrations designed & art directed to get across the frenetic gameplay and enjoyment to be had from the antics of Bonk. A gaming classic re–launched on mobile platforms to celebrate the 25th anniversary since he first blew onto gaming screens. 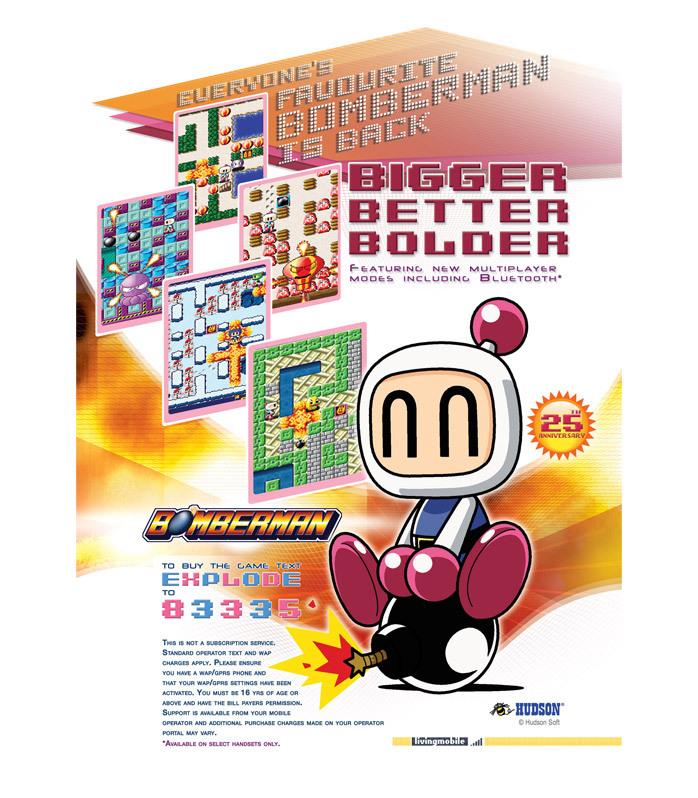 Art direction and design to communicate the high-explosive heritage of this destructive dude to a new generation of gamers. 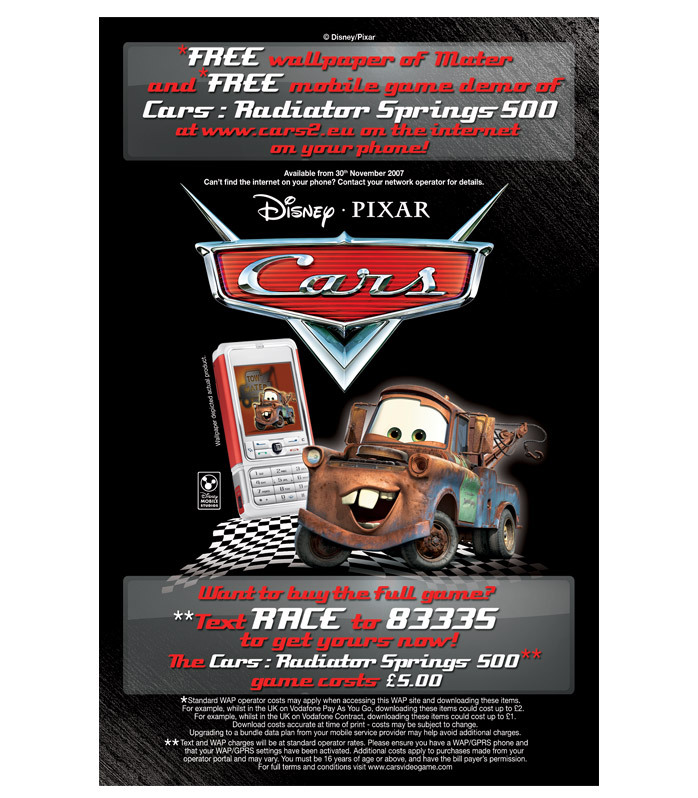 Art Directed and designed to promote the second cars film via various mobile assets including games, ring-tones & wallpapers for phones. 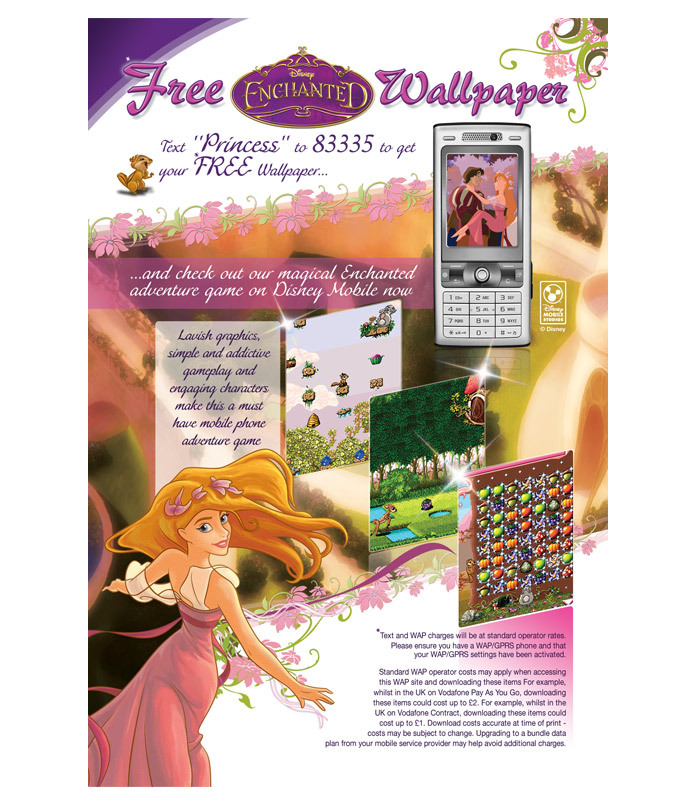 Designed to promote mobile phone assets in–conjunction with the release of Enchanted the film with a free wallpaper and pay for games offered. 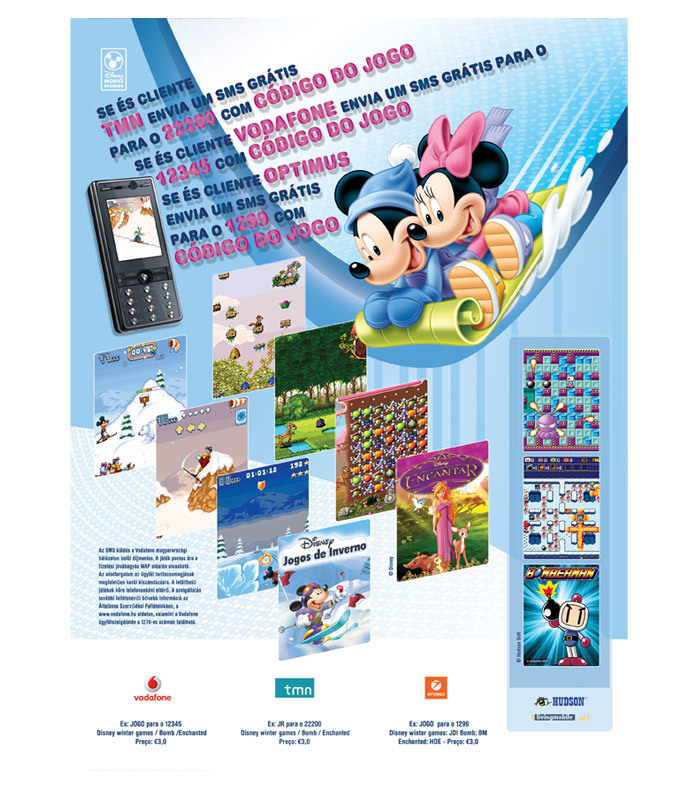 Various EMEA territories were supplied with different translations applied. 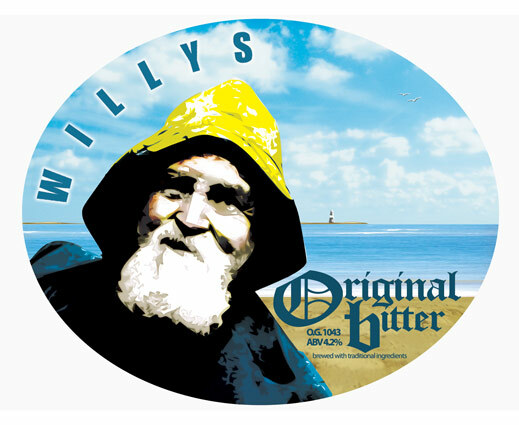 Taking cues from location and heritage I combined bespoke illustrations of a fisherman with known land marks to convey locality. Invites art directed and designed for an art groups opening show. 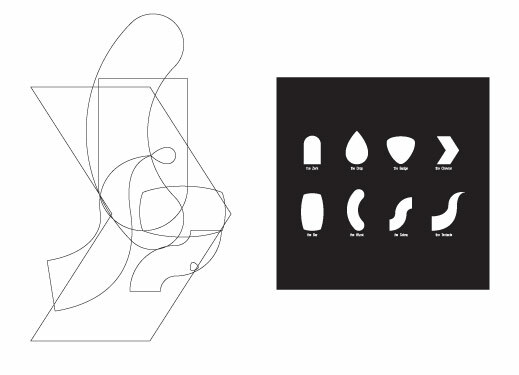 I proposed the shows name and illustrated it via a ubiquitous Pictogram found worldwide.